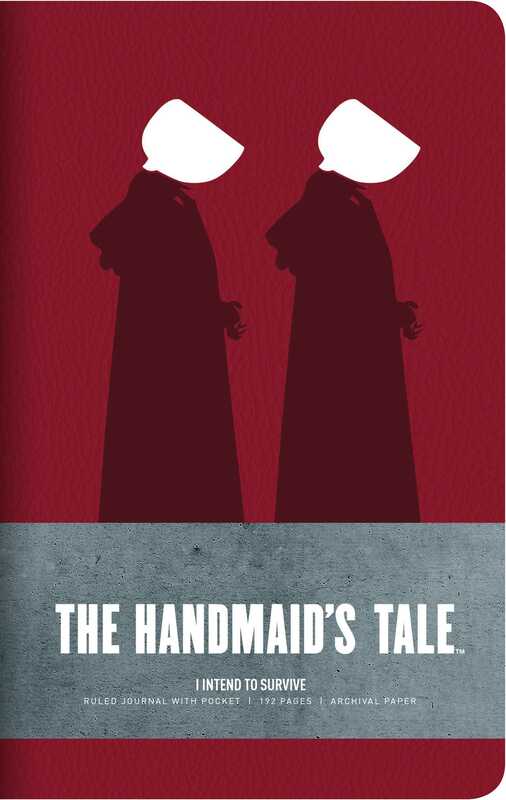 Show your commitment to the resistance with this hardcover ruled journal based on MGM Television’s The Handmaid’s Tale. The Handmaid’s Tale—the groundbreaking show produced by MGM Television and based on Margaret Atwood’s best-selling novel—has drawn rave reviews and attention worldwide. Now, fans can share their appreciation for the show with this hardcover ruled journal. This journal features designs inspired by iconic graphics and memorable quotes from the show, and it includes 192 ruled pages of high-quality paper, an elastic band, a ribbon marker, and a back pocket for storing keepsakes and mementos.